The worlds first coastal path for an entire country. 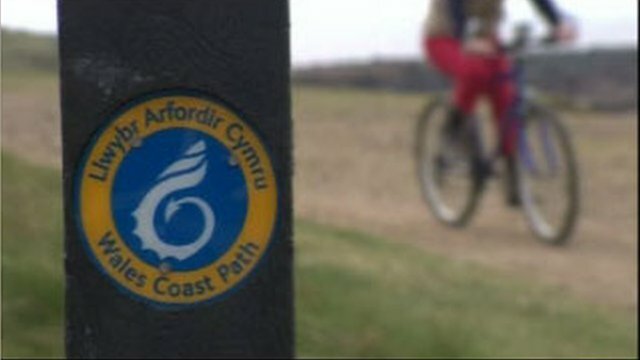 Finishing touches are being made to the world's first coastal path network to cover an entire country. Stretching from the mouth of the River Dee in Flintshire all the way to Chepstow, the Wales Coast Path covers 870 miles (1400km). The network also links into the Offa's Dyke Path - creating a 1030 mile (1660km) route around the whole of Wales. The coastal network is officially opened on Saturday 5 May. Coastal access officer, Trisha Cottnam said the official opening marked the end of a five year project to build the network. "It's a world first. 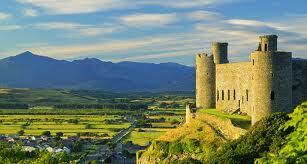 There has never been a nation with a fully linked coastal path all the way around," she said. 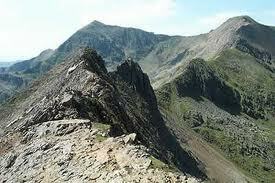 Final preparations are being made to open the Wales coastal path. "We have a fantastic coastal path in Pembrokeshire and the Llyn Peninsular and around Anglesey, and it was the initiative to actually join everything up." The project was backed by the Welsh government and local authorities, alongside the Countryside Council for Wales, taking five years to complete. It has cost about £2m a year to fund, with £4m of the cash coming from European grants. The whole coastal network takes in two national parks, three areas of outstanding beauty, and 11 nature reserves. But not everyone has backed the network of paths, some farmers and landowners say it will hit them in the pocket. Lyn Jenkins, who runs the Cardigan Island Farm Park, has spent tens of thousands of pounds opposing the project and access to his land. "It totally finishes our business, it is letting everybody in free" said Mr Jenkins. "But not only that, it is bringing people into a very dangerous area, that is clearly dangerous where the cliffs are crumbling." However, Caroline Thompson from Ramblers Cymru said she believed the paths could only have a positive impact for those areas the network passed through. "There will be increased tourism, increased visitors in the coastal communities and that will hopefully generate new enterprises and further income for those businesses," she said. However, she also recognised that the network did not have universal access to the shore: "There are certain areas in Wales where there are private estates and unfortunately there isn't the coastal access. "It would be great if that could be opened up so that the public could access it." There has also been some concern from some landowners about the effects of allowing access across their land. The whole network will be officially opened on Saturday, with three events being held at Flint, Aberystwyth and in Cardiff Bay, where environment minister John Griffiths will cut the ribbon to the network. Hiking First Aid - Medical Training for Backpackers and Hikers. Wilderness Medicine Training for Backpackers and Hikers. I have just been looking at reviews on some of the best quality backpacks and boots as I tend to go through a lot on my travels and quality does matter. http://www.hikingplus.co.uk have thousands of quality hiking and camping accessories and some great reviews on hiking equipment and how to videos, including Wilderness Medicine Training for Backpackers and Hikers.